Tailored - Moffett Mounty Driver Training Courses can be designed to suit experience. 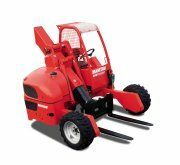 Whether you have been driving Moffett Mounty forklifts for years or are a complete beginner we can provide a course that gets you the qualification you need. 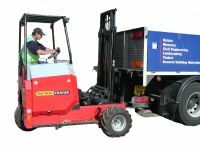 Flexible - Having our own truck mounted forklifts and Lorries allows us to provide all the equipment necessary for Moffett Mounty driver training. � Alternatively we can carry out training on site using your own equipment.